Gary Cool (@GaryCool_ on Twitter) is a Rock DJ, blogger and music writer. Known for his show on 2 Oceansvibe Radio (The Rock Dimension) and later on AFM 91.3FM, Gary has moved over to IWM Radio and he’s starting in Mid July. Due to his recent motorcycle accident, Gary is unable to travel too much, so Ard Matthews (of Just Jinger fame) has brought the radio station to him to keep his Rock show alive. Gary has MCeed most of the major festivals this year such as RAMfest in Cape Town and Johannesburg and Splashy Fen and will be the MC and DJ at the One Night In Cape Town event featuring Deftones and Yellowcard in the near future. Many things dude. Myself, Sean Thompson (An irritating Irish man) and Vetman are working together on Gary Cool TV. I am going to be in the 3rd season of MK Ondergrond. I am starting at IWM Radio soon and there is something huge that I am about to to work on with a major music publication for the end of the year – It is a dream come true and a lot of hard work – Its basically my Top List, but on steroids. 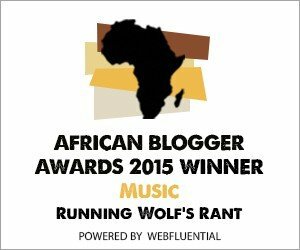 What are your current general thoughts on the South African music industry? I have my good days and bad days when it comes to this particular subject. Sometimes I lose hope in lazy bands who are so talented but have no drive to get off their asses and record new material or tour and some organizers who are after making money for themselves and not growing the scene and rewarding the artists, but then you check your inbox and there is a new band or artist you have never heard of who blows you away with a single they recorded on their own and because they love what they do. So you pick yourself up and forget about the negative aspects of the music industry and you keep on promoting to help those talented guys who just want a venue to play in and to hear their song on the radio – all the right reasons. I feel we have a lot to do and live venues especially in Johannesburg are few and far between and Cape Town are absolutely killing me with their turn outs – but the talent is here, we just have to keep on keeping on I guess. Which 5 Twitter accounts does one need to follow if you want to stay on top with what’s currently going down in the SA Music industry? To be honest, I follow your @hennokruger account closely. The other 4 would be @watkykjy, @gevaaalikdotcom, @jeanjordaan and @musemag (Muse Magazine). My good friend Sergio writes for Muse and he is probably one of the very few writers that I enjoy reading. Dramatically! My site or radio shows would not be what they are without twitter. I have met most of my good friends and connections in the music industry through twitter which has strengthened my position and influence. Which South African artist(s) do you think have the potential to make it big abroad? There are so many and I could be here all day, so I’ll give you one. This guy is something very special – check him out at https://www.facebook.com/TheHollowBody?viewer_id=594536700 and listen to his track “Holly”. What is the funniest or most interesting thing that you’ve seen on or off stage at a rock show? Probably when a douche bag was starting a fight at Mercury in front of the stage and Francois tried to tap him with his foot while performing and ended up falling onto him and the crowd. The next day fans who were there were tweeting that Francois had fly kicked the guy in the face and stopped the fight – they obviously saw it from a different angle… It was hilarious. What is your favorite rock star quote and why? “Don’t follow a trend. Follow your heart.” Krist Novoselic (Nirvana). That’s what Nirvana did and look where it got them. It’s hard not to follow trends, but remind yourself that we need less sheep in the world. I want to take this opportunity to thank Gary Cool for taking his time to answer these questions. I wish him all of the best with his future ventures. Go check out Gary Cool’s Blog, join his Facebook page or follow him via @GaryCool_ on Twitter, you will not be disappointed. Watch this space for regular updates in the Music and Technology category on Running Wolf’s Rant.